And again. I know all of you are probably getting sick of this. But hey, that’s what makes this funnier. Heh. Just kidding. 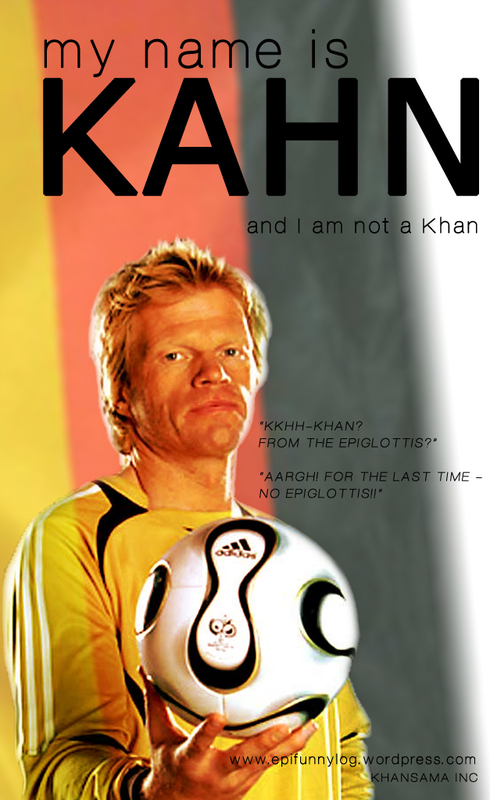 By the way, for those of you who don’t already know, Oliver Kahn is a former German soccer team goalie, and a very famous one at that. "For the last time - NOT FROM THE EPIGLOTTIS!" I know. “Not this again”, right? There are just so many variations that can be made. Though, this one has an extra epifunny attached – the two mock review snippets in the lower half of the poster. Dasti Daada! "Awhay Bhayya! 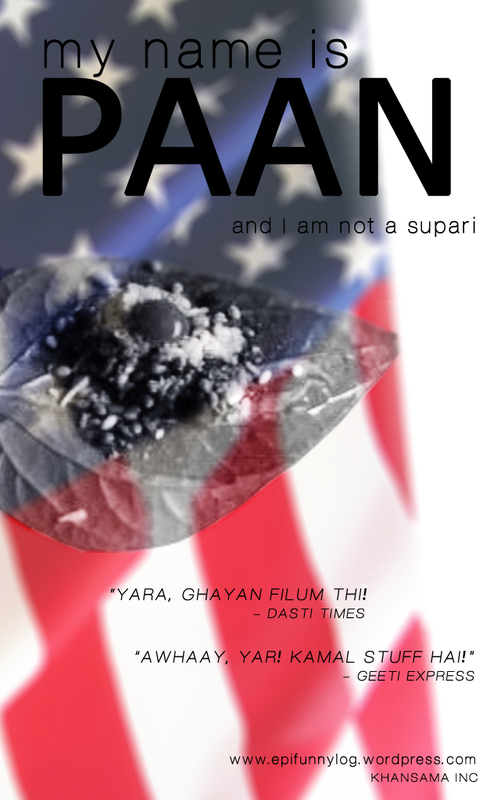 My name is Paan and I am not a supari! Samjha geeti? THOO!" The above quote is a work of genius. So obviously I have nothing to do with its creation. The credit goes to a friend of mine – let’s call him Ganja – who is quite gifted in the art of doing people (doing impressions of people, that is) and cracking corny jokes. The phrase, as you probably might have guessed by now, is a corny parody of of the Indian movie dialog, “My name is Khan and I am not a terrorist” from the movie “My name is Khan”. 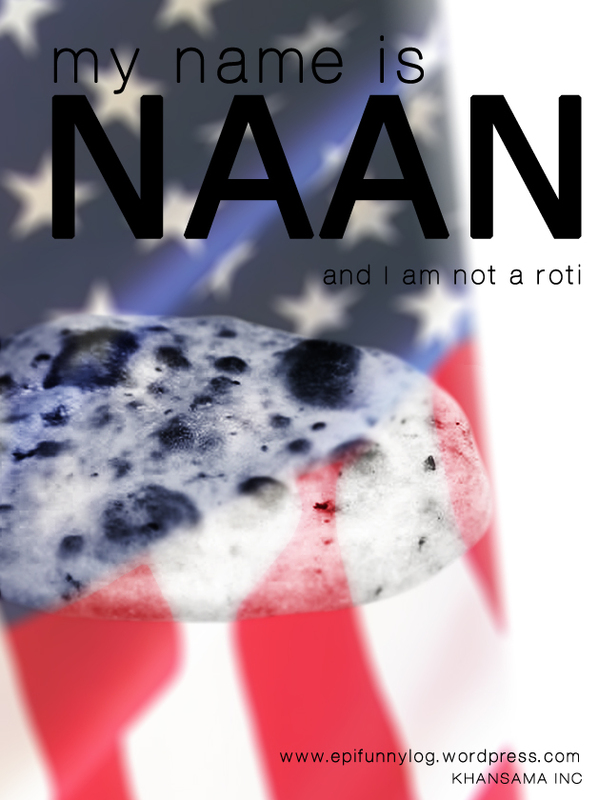 "My name is Naan and I am not a roti!" Ganja has truly outdone himself this time. Enter your email address to subscribe to EpiFunny.